Depicting the beautiful floral motifs and rumi calligraphy so prevalent in the designs of the breath-taking Iznik and Kutahya tiles of Istanbul’s wonderful Topkapi Palace, our hand painted ceramics create gorgeous walls or flooring for your home. In some of our hand-crafted tiles the 16th century Ottoman designs have been emboldened and modernised, in others they depict a vintage patina. All tiles in our collection have been produced in keeping with the original artisan’s painstaking methods. The hand painted ceramic tiles are designed to incorporate modern values, enhancing the overall appearance of your property. Any of the tiles that we provide are guaranteed to add personalisation to your home or workplace, can you afford not to invest in them? 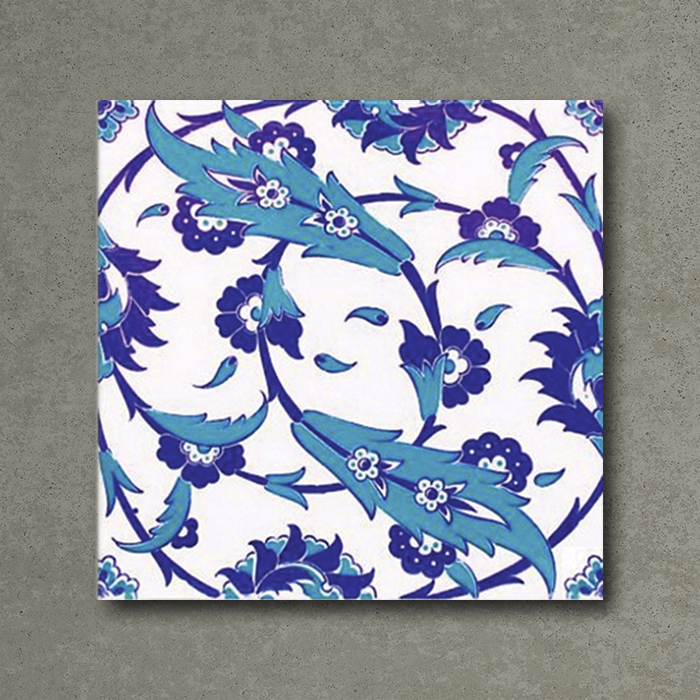 Our hand painted tiles can make any property more decorative, incorporating some of the most delicate designs.